Images of what a new artificial dive reef off the Navarre Beach pier will look like are coming into focus after Taylor Engineering presented the preliminary design to Santa Rosa County officials. Navarre Beach Marine Sanctuary President Mike Sandler, along with the Navarre Beach Area Chamber Foundation, has helped to spearhead the project, which will be administered by the county. It has been years in the making, Sandler said. Because of the reef’s location, it will create a habitat for all the marine species that call the area home, meaning potentially bringing more fish closer to the end of the fishing pier. “It is probably going to increase the fish population around our area… The important thing is those reefs provide a mechanism for little fish to get bigger because they are vulnerable as babies,” Sandler said. In addition to providing habitat for fish, the reef will offer a new opportunity for scuba divers. Local professional diver and dive instructor Tazz Felde said he is looking forward to the deployment of the new reef. “There is always something new to dive, and you never know what it is going to attract,” Felde said. Design and installation of the reef is being funded by a $1.4 million National Resource Damage Assessment (NRDA) grant, which is administered by the National Oceanic and Atmospheric Administration as part of the Deepwater Horizon oil spill payout. As a stipulation of the grant, these funds can be used only for design and deployment of area reefs. Of that amount, $210,900 has gone toward expanding the existing near-shore snorkel reef on the Gulf side of the Navarre Beach Marine Sanctuary. That project’s installation is underway. The larger reef, accessible to scuba divers, will be located about 1 mile offshore. 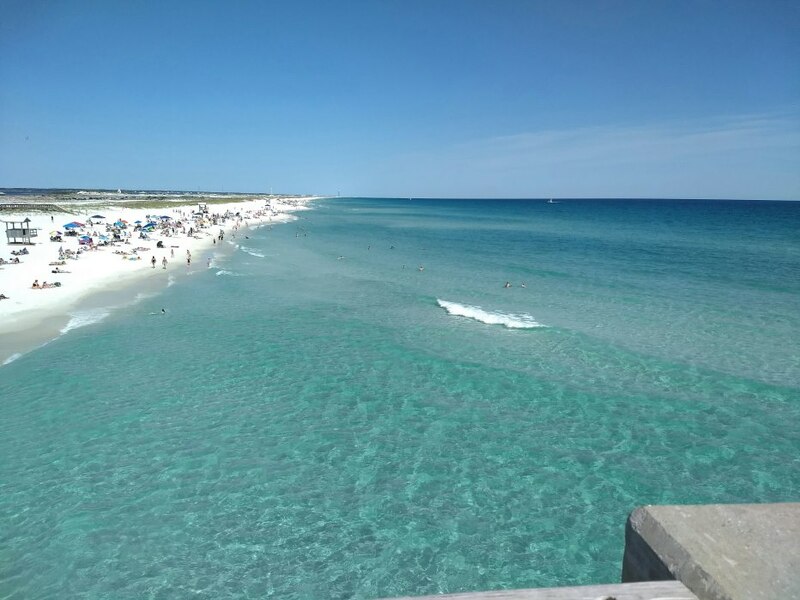 It will stretch 2 miles parallel to the beach starting at the Eglin Air Force Base Reservation line and running west in front of the Navarre Beach Fishing Pier. The reef will be 60 feet below the water’s surface. Taylor Engineering has completed similar projects in the area, including an artificial dive reef in Walton County. According to the design that the company presented to Santa Rosa officials, the reef will have between 500 and 700 modules. These modules will be shaped differently than the snorkel reef modules, which look like disks on a stick. 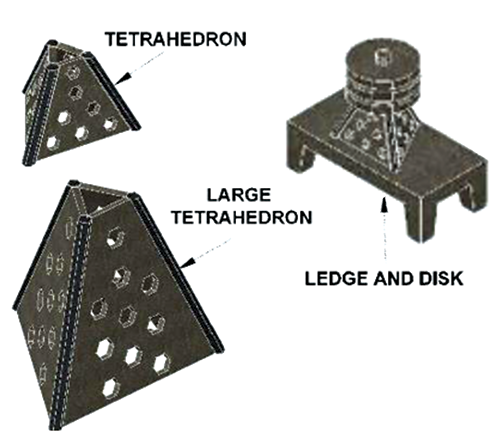 This dive reef will be constructed using two different sizes of tetrahedrons. The structures look like pyramids with holes scattered throughout the sides, similar to Swiss cheese. Coral will be able to grow on the structures, slowly creating the reef. These structures come in 8-foot and 18-foot heights. The new reef development is broken into three clusters, each containing a collection of tetrahedrons and another module called a ledge and disk. Those are roughly 8 feet tall. Current estimates by Taylor Engineering put the time frame for construction sometime between February and August 2018. That may be cutting it close to the NRDA grant deadline, which requires completion of the entire project by September 2018. “It is going to depend on how efficient this first part is. There is a time limit on the grant. It needs to be in the next 12 months, or we could risk losing the money,” Sandler said. While Sandler has said he believes the reef will bring in visitors, Felde said he is not so sure. 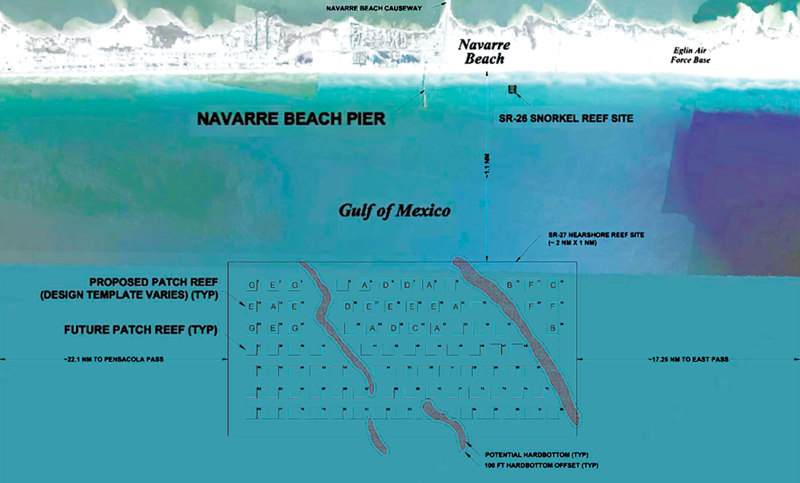 The existing snorkel reef off Navarre Beach has pulled in visitors from throughout the area and from out of state. The next step in the process will be putting the installation out for bid, with a contract being signed as early as December. Deployment of the structures could then begin.